That’s not a RC car or a model jeep up top. 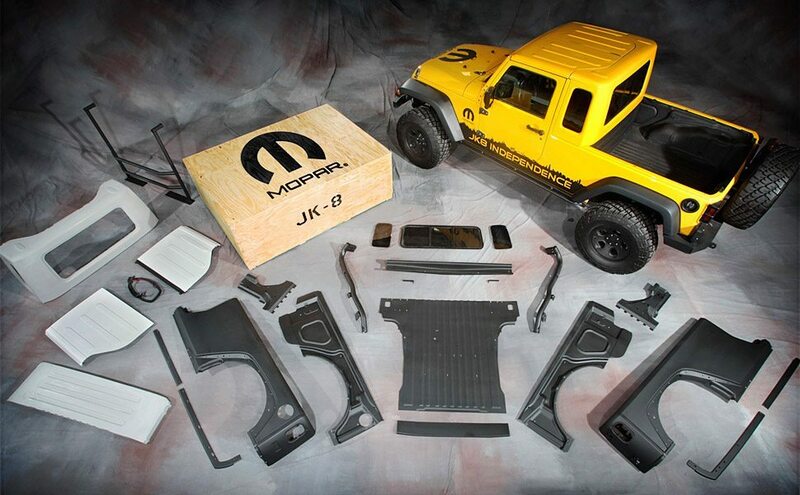 No, it’s the Mopar JK-8 Jeep Kit ($5,500) and it’s the closest thing to an official Jeep successor to the Scrambler as you’re going to get for now. This officially-supported kit will turn your Wrangler Unlimited into a pickup through the use of a 44″ x 50″ steel bed, inner and outer bedsides made from stamped sheet metal, sport bar extensions, a removable fiberglass hardtop with sliding rear window, and a fiberglass bulkhead. You’ll have to paint it too of course.